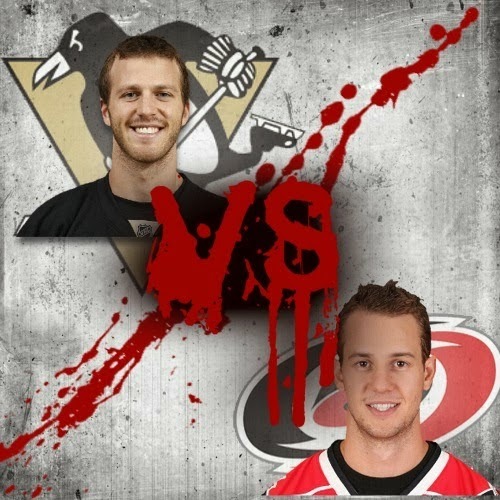 Last night Jayson Megna with the help of the Pittsburgh Penguins defeated the Carolina Hurricanes by a score of 3-1. In his second game he managed to get a goal and an assist and show how much potential he has. I am not sure if he has human legs and at times he had really nice hands. I guess we should get into other players and points from last nights game. At 8:25 Pittsburgh's sniper and Mad Chad favorite Tanner Glass buried his second of the season past Carolina net minder J. Peters to make it 1-0. The goal was from a rebound after Megnaman drove the puck to the net with his speedracer like speed and got of a quick shot before Glass cleaned up the mess. That was Megna's first career point and first of the game. It would be a little under 8 minutes later that Craig Adams would take a Slashing call after slashing Eric Staal. Carolina would tie the game 1-1 on that Power Play after Nathan Gerbe would score his 4th of the season. I know we are not familiar with PP goals, but some teams do get them.. There were no more goals in the period. Once again, much like Saturdays game against the Leafs there was a heavy exchange of penalty swapping as well as a fighting major that our friend Evil Shero covers at the end of this post. The second period was a little bit less eventful and saw the Hurricanes getting more shots on goal as well as 2 chances on the Power Play. The first one came 22 seconds in the period when took a slashing call. The Hurricanes were unable to capitalize on it though. At 16:24 into the period the Penguins would take the lead 2-1 after THE BEST PLAYER IN THE WORLD (No, not Claude Giroux... And not Megna) would make a DIRTY play and get the puck to Kunitz who would tip it in. Outside a penalty shortly after for the Pens that was it for the action in the second. The third period started as Pens fans hoped that we would have a stronger 3rd then we did Saturday night, and for the most part they did. THANKS TO SUPER HERO MEGNA who scored his first NHL goal when he deflected a shot by Crosby. Other than the world (and Twitter stopping for that moment) little happened in the game following that outside a second penalty for M. D'Agostini which he took again against R. Murphy, shortly after Carolina would take a call to even out their man advantage. 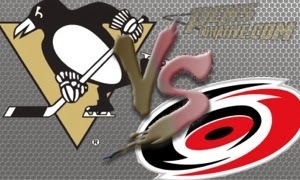 It looked like the Hurricanes were not able to generate very much in the way of offense in the third period as the Penguins out shot them 9-3. And that was it for the game. 3-1 win for the good guys, ending a nasty 3 game losing streak. Crosby had a %59 wining percentage on faceoffs. Penguins were 0-3 on the Power Play.. This fight was a response to the dangerous hit Sutter put on Craig Adams hitting him in the numbers and forcing him into the wall. Unlike that fart-eating baby Adam McQuaid Adam's gets up because he a hockey player. Vitale notices the dirty hit and challenges Sutter to drop them and Sutter stays on the ice hoping for a whistle but eventually has to answer the bell. This might be my favorite fight of the season, because when both Vitale and Sutter started to unload it was relentless. Vitale, much like Glass, grabs that center crest and throws rights at his opponent. Vitale started real strong landing two solid shots and Sutter came back crushing three punches to Joey V's face. Vitale then unload with a fury of 6-8 punches then Sutter retaliates with a half dozen of his own. Vitale hits Sutter with a sneaky left opening himself up for a right hook to the face. The refs jump in (a little early for my taste) to break it up and both men sit 5 in shame. This one was way to close to call with both men landing a dozen punches in this bout. The camera angle was too bad to get an accurate punch count to break the tie in my opinion.